Very little makes European car manufacturers uncomfortable, but the Toyota Celica has always challenged the European claim to the UK market. With the 7th generation Toyota Celica 2000-2005, Toyota unveiled their biggest threat yet. This Celica came in two different models. The GT (ZZT230) featured a 1.8 litre, 4 cylinder engine, harnessing 140bhp to get it from 0-60 mph in 7.4 seconds, and hit a top speed of 141 mph. The GT-S (ZZT231) remains one of the highest performance Celicas created, with a 180bhp engine developed by Yamaha and Toyota. Yamaha’s contribution to the GT-S included cylinder heads that featured separate cam-lobes for variable valve lift. This left the GT-S comfortable with everyday driving, but aching to perform between 6000 and 7800 rpm. An acceleration of 0-60 mph in 7 seconds and a top speed of145 mph isn’t too shabby either. The standard 5-speed transmission on the GT is very responsive, and both the GT and GT-S offer a 4-speed automatic option that garnered surprisingly good reviews upon release. The GT-S’s 6-speed manual transmission received very high praise when performing at high speeds. Both the GT and GT-S were designed with a rigid chassis and surprisingly long wheelbase. Cornering is impressive, and turn-in is nimble. The primary difference is between the rear drums on the GT and the larger four-wheel disc brakes on the GT-S. This makes hitting the bends in the GT-S a lot of fun! This was bad enough for Toyota to issue a recall on brake master cylinders on the 2000 and 2001 Celica. If you’re at a standstill and your brake pedal sinks slowly to the floor, this is a symptom of your master brake cylinder failing. Get this checked immediately. If you’re nervous about this happening, get the car scrapped. You’ll feel better for it. Celicas can have major problems with shifter cables, especially as the miles clock up. The GT manual also has sub-standard transmission bearings that typically fail at 100,000 miles. At over £3,000 to replace, it’s probably more than your Celica is worth, and your resale value will be shot. If this happens, it’s definitely time to sell your Celica for scrap. Most cars have a date where things start going wrong. 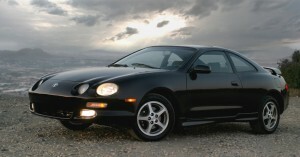 With many Celicas, major problems crop up at 90,000 miles. If your car has reached that mileage without problems, count yourself lucky. If you’ve reached that point and problems start happening, you’re safer to cut your losses, call a reputable car scrapper, and get some money to put towards a replacement.